We’re loving the new Sarah McLeod stuff – and though her new single ‘Dancing In The Dark’ is a cover version of the classic 1984 Bruce Springsteen track, it’s bearly recognisable in this format, as Sarah changes notes and purrs perfectly over the lyrics to give it an entirely new feel. The clip is black and white and the singer, dressed in her best AC/DC t-shirt, digs into her Superjesus bag of tricks to drag out the tools needed to lay down the track. Slowly it builds, as more and more percussion layers its way into the mix. Very different, very fab. And it’s taken from the first of a trilogy albums the singer will release, kicking off with ‘Madness’ due later this year. 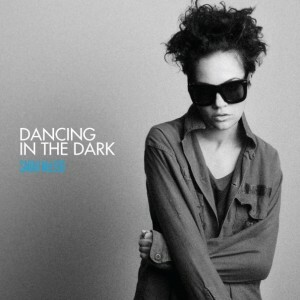 ‘Dancing In The Dark’ is out digitally now. Yeah, it’s good. But I’m still preferring her demo version. It was even more stripped back. I’m still gonna buy it!